A woman is found hanged in a hotel room, and Winter realizes the scene is identical to a decadesold unsolved murder case. 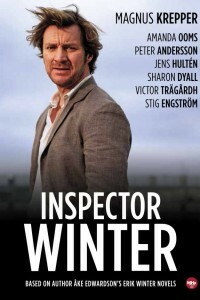 In the course of the investigation, Winters obsession with the past puts his own life in danger. Winter investigates the seemingly random deaths of two men, somehow connected to an abandoned car found on a bridge. The key to the mystery lies in the disappearance of a 15-year-old girl from an island summer camp in the ’70s. While house hunting with his family, Winter stumbles upon a frozen corpse on the property. How was the man killed, and why? The strange case of a woman murdered in her own bed may help provide answers, but before long Winters own family is targeted by the killer.